Here for your consideration is an exceptional, high quality Rutilated Quartz cabochon. 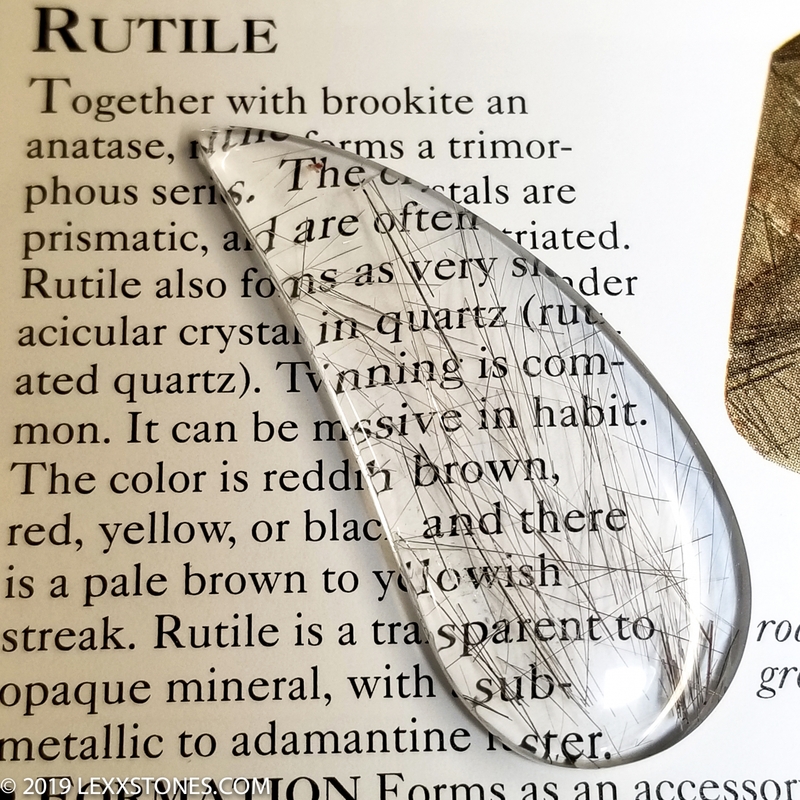 Rutilated quartz is unique because instead of red or black inclusions in quartz, the rutile inclusions are a beautiful, abstract rust, gold-yellow color. No two stones are alike. 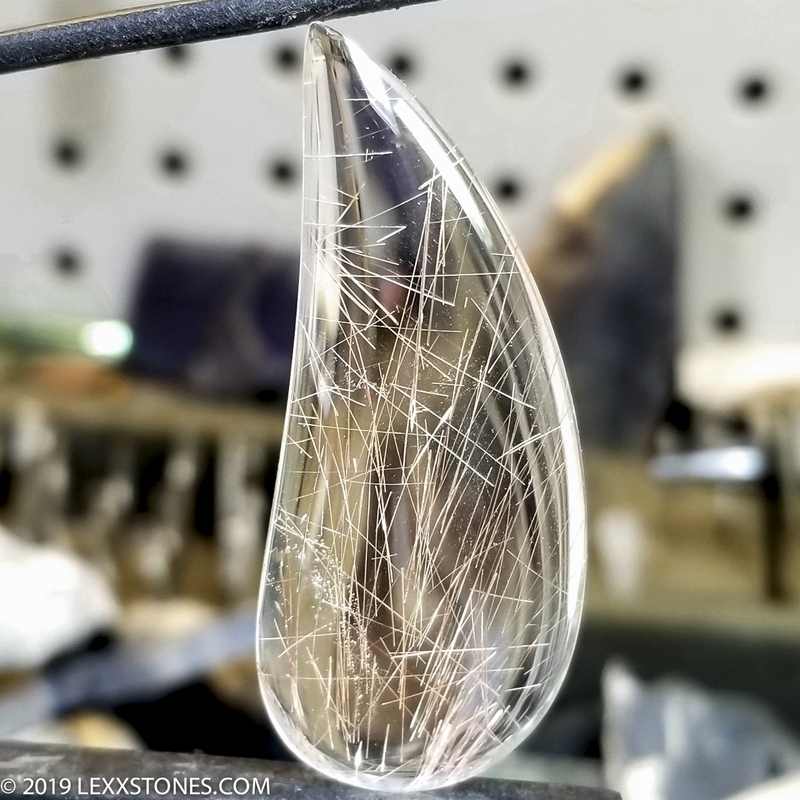 The rustic reddish needle-shaped rutile inclusions in this cabochon form a swarm in swirling sprays and bursts throughout the perfectly translucent "glass like" optical quartz structure. Rutile is one of the five forms where Titanium is found in nature. Wonderful translucency and acicularity. Standard radius dome. Vitreous high gloss shine – front and back. 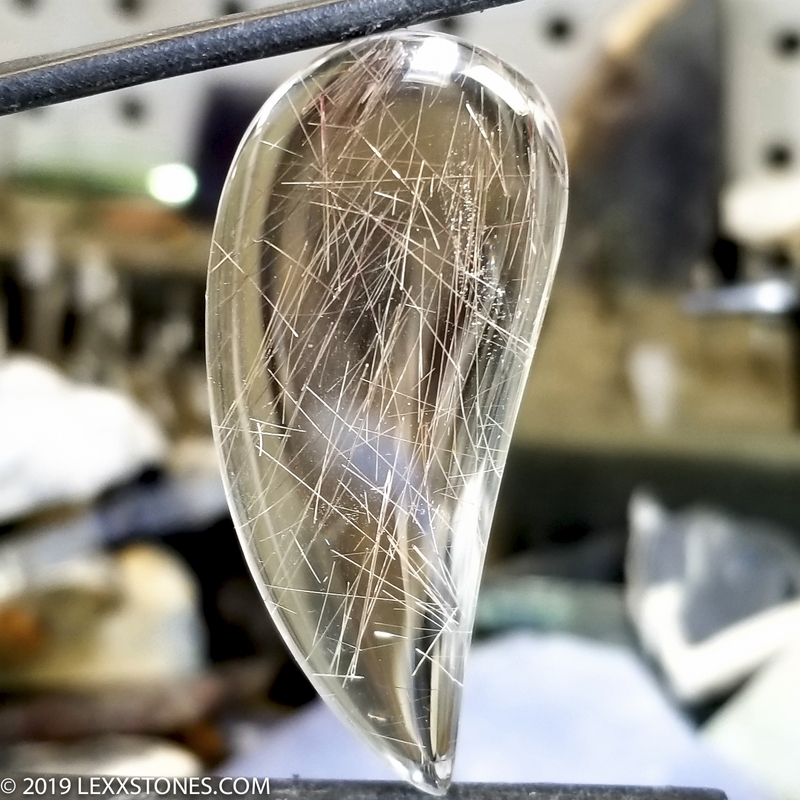 Hand crafted by me, this Venus Hair Rutile Quartz cabochon would make a beautiful pendant, either wire wrapped, bezel set or a collectors piece. Use your imagination! Photos taken dry under full spectrum LEDs. This cabochon is natural and not artificially enhanced in any way.